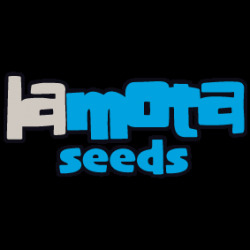 LaMota Seeds is a cannabis seed bank founded in 1995 in Donostia, created by the Grow Shop of the same name (one of the first in Spain, which opened in 1999), and born from a passion for cannabis cultivation, with the intention of offering their extensive cannabis experience to growers. Its founders focused on having fun and exploring cannabis to its fullest, at a time when it wasn't easy to get cannabis clones or seeds, as there were no distributors in Spain to sell them, and the scene was still fairly underground. This forced them to travel all over the world to obtain new genetics, meeting great breeders and experienced growers with whom to exchange crosses and cannabis knowledge. Over time and through these friendships, they managed to collect the best cannabis genetics from each place they visited, building up a complete and varied genetic library, and learning cultivation techniques and tricks at first hand from the best growers, all of which has helped them to create the exceptional varieties they offer today. Once they had put together all the strains and knowledge they obtained over the years, the bank became a physical entity, offering a range of high-quality genetics at economic prices, designed to deliver great results in the hands of both novice and expert growers. LaMota Seeds offer both autoflowering and feminised seeds, combining the best qualities of Girl Scout Cookies, Do-Si-Dos, Wedding Cake, Chemdog, L.A. Confidential, Critical, Kush, Cheese, Skunk or Jack Herer, and even pure CBD genetics, designed for medicinal users. 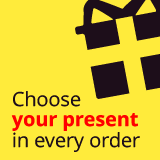 All of the varieties are very aromatic, highly productive, resistant and vigorous, allowing you to enjoy a top quality harvest at down-to-earth prices. Without a doubt, this is a seed bank that deserves to be tried out, so you can experience this pure love for cannabis.